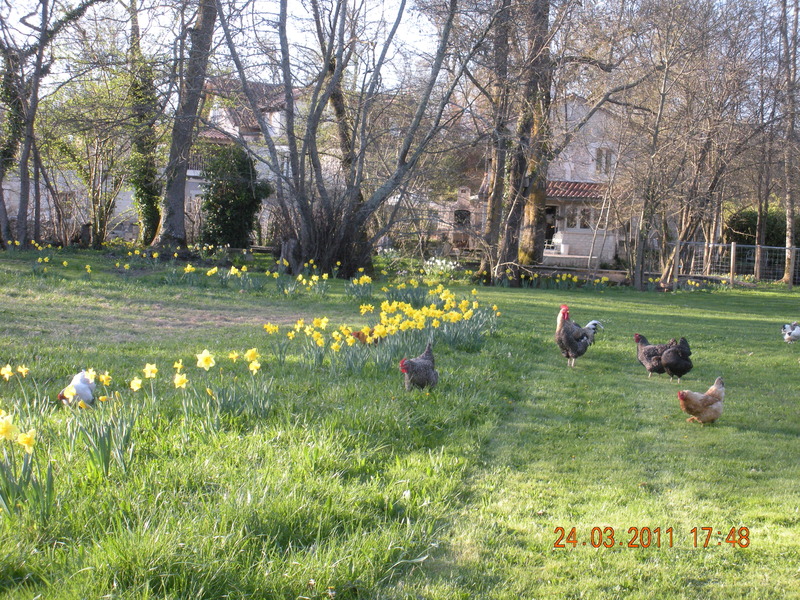 I arrived home from an appointment on Wednesday at midday to find that the farmer’s dog had run amok in our field, where our hens and their handsome cockerel enjoy a free range life. Firstly I came across a drenched, stressed hen balancing on a rock in the middle of the stream behind our house. As I walked towards the hen’s enclosure there was utter silence, feathers scattered everywhere! The farmer, who was working on an adjacent field was devastated and said he would reimburse me for all the missing hens and the cockerel. The strange thing was that there were no carcasses – just feathers! The story has a happy ending though – by night fall all but one little brown bantam had returned, the cockerel looked like a wounded war horse, very bedraggled, loads of feathers missing and soaked to the bone! Well-being message: “Shunned for several decades by orthodox practitioners as a high-cholesterol food wrongly believed to cause coronary heart disease, the egg is making the comeback it deserves” (Nourishing Traditions: Sally Fallon). Organic eggs are rich in just about every nutrient and have high quality protein, to name but a few of their valuable properties. This entry was posted in Spiritual retreat. Bookmark the permalink. Poor hens and cockerel! And poor missing brown bantam. Hope they got extra food that evening.